ABC NEWS, BUSINESS MANAGEMENT, CABLE TV COMPANIES, CBS NEWS, CEOS, CNN, COMCAST, COMMUNICATIONS, CONSUMER COMPLAINT WEBSITES, CONSUMER PROTECTION, CUSTOMER SERVICE, FACEBOOK, FEDERAL COMMUNICATIONS COMMISSION, LOS ANGELES TIMES, MANAGEMENT, NBC NEWS, PUBLIC UTILITIES COMMISSION, ROBERT TOWNSEND, SELF-HELP, THE CHICAGO SUN-TIMES, THE CHICAGO TRIBUNE, THE NEW YORK TIMES, THE WALL STREET JOURNAL, THE WASHINGTON POST, TWITTER, UP THE ORGANIZATION, USA TODAY, YELP! In 1970, Robert Townsend, the CEO who had turned around a failing rent-a-car company called Avis, published what is arguably the best book written on business management. It’s Up the Organization: How to Stop the Corporation From Stiffling People and Strangling Profits. Though published 46 years ago, it should be required reading–for CEOs and consumers. “This book is in alphabetical order. Using the table of contents, which doubles as the Index, you can locate any subject on the list in 13 seconds. And you can read all I have to say about it in five minutes or less. Comcast is the majority owner of NBC and the largest cable operator in the United States. It provides cable TV, Internet and phone service to more than 50 million customers. So you would think that, with so many customers to serve, Comcast would create an efficient way for them to attain help when they face a problem with billing or service. Now, imagine what would happen if Brian L. Roberts, the CEO of Comcast, did just that. First, he would find that, at Comcast, nobody actually answers the phone when a customer calls. After all, it’s so much easier to fob off customers with pre-recorded messages than to have operators directly serve their needs. And customers simply aren’t that important–except when they’re paying their ever-inflated bills for phone, cable TV and/or Internet service. Comcast’s revenues stood at $19.25 billion for the fourth quarter of 2015. In 2015, Roberts earned $36.2 million in salary, options and other compensation, a 10% increase from 2014. So it isn’t as though the company can’t afford hiring a few operators and instructing them to answer phones directly when people phone in. Then he would hear an annoying clucking sound–followed by the same message in Spanish. “Your call may be recorded for quality assurance. By the time he heard that, he would almost certainly not be in a mood to take a survey. He would simply want someone to come onto the phone and answer his question or resolve his problem. Then he would hear: “At the present time, all agents are busy”–and be electronically given an estimate by when someone might deign to answer the phone. If he wanted to immediately reach a Comcast rep, Roberts would press the number for “sales.” A sales rep would gladly sign him up for more costly products–even if he couldn’t solve whatever problem Roberts needed addressed. Assuming that someone actually came on, Roberts couldn’t fail to notice the unmistakable Indian accent of the rep he was now speaking with. Not Indian as in American Indian-because that would mean his company had actually hired Americans who must be paid at least a minimum American wage for their services. No, Comcast, like many other supposedly patriotic corporations, “outsources” its “customer service support team” to the nation, India. After all, if the “outsourced” employees are getting paid a pittance, the CEO and his top associates can rake in all the more. Of course, the above scenario is totally outlandish–and is meant to be. Who would expect the wealthy CEO of a major American corporation to actually wait in a telephone queue like an ordinary American Joe or Jane? That would be like expecting the chief of any major police department to put up with hookers or panhandlers on his own doorstep. For the wealthy and the powerful, there are always underlings ready and willing to ensure that their masters do not suffer the same indignities as ordinary mortals. Such as the ones who sign up for Comcast TV, cable or Internet services. The speaker was Donald Trump, holding a July 27 press conference in Doral, Fla.
And he was urging a foreign leader to hack into the private email server of his Presidential rival, Hillary Clinton. Five days earlier, Wikileaks had released 19,252 emails and 8,034 attachments hacked from computers of the highest-ranking officials of the Democratic National Committee (DNC). Cyber-security experts believe the hacking originated from Russia–and that Russian President Vladimir Putin may have authorized it. Politicians on the Left and Right expressed outrage at Trump’s remarks. But this is not the first time the Right has jeopardized American security. During the 2012 Presidential campaign, supporters of Mitt Romney accused President Barack Obama of leaking top-secret details of the U.S. Navy SEALs raid on Osama bin Laden’s compound in Abbottabad, Pakistan. The raid, launched on May 1, 2011, resulted in the death of the 9/11 mastermind and the capture of a treasury of highly sensitive Al Qaeda documents. According to Right-wingers, Obama wanted to provide Hollywood screenwriters with material for a movie to glorify his role in authorizing the raid. In August, 2012, the Right found its own secrets-leakers. And they operated under the name of the Fox News Network. Their motive: To promote a book–No Easy Day: The Firsthand Account of the Mission That Killed Osama Bin Laden. It was slated to hit bookstores on September 11–the 11th anniversary of Al Qaeda’s attacks on the Pentagon and World Trade Center. It had been penned under the pseudonym “Mark Owen.” But the real name of the author–a 36-year-old former Navy SEAL Team Six member who took part in the raid–was Matt Bissonnette, of Wrangell, Alaska. Bissonnette’s real name became public after multiple sources leaked it to Fox News–who revealed it on August 23. The Navy SEALs who killed bin Laden had previously been left unidentified. Fox News had repeatedly accused President Obama and members of his administration of treasonously leaking military secrets to the media to glorify the President. Many former and current SEAL members feared that the book would release information that could compromise future missions. And Colonel Tim Nye, a Special Operations Command spokesman, said the author “put himself in danger” by writing the book. But Bissonnette placed more than his own life in jeopardy. He endangered the lives of every one of the men who participated in the bin Laden raid. If Bissonnette fell into the hands of Al Qaeda terrorists or sympathizers, he could conceivably be tortured into revealing at least some of the names and locations of his former team members. And Fox News not only revealed his true name but the town where he lived. Democrats are all traitors–or at least potential traitors. Even those Democrats who aren’t traitors are too weak-kneed to protect the nation from its sworn enemies. Democrats (have betrayed) (are betraying) (intend to betray) national security secrets to the Soviet/Chinese Communists. Democrats have (betrayed/) (are betraying) (intend to betray) national security secrets to Islamic Jihadists. Only Republicans can be trusted to protect the nation. Republicans blamed President Harry S. Truman for “losing China” to the forces of Mao Tse Tung in 1949. America could not have prevented a corrupt and incompetent Chiang Kai-Shek from being driven off the Chinese mainland by Mao’s overwhelmingly powerful armies. Then, in 1950, Senator “Tail Gunner Joe” McCarthy charged that the State Department was infested by Communists–and that the Truman administration knew it but refused to take action. The charges were false. It elected Dwight Eisenhower President and turned Congress Republican in 1952 and 1956. It elected Richard Nixon President in 1968 and 1972. It elected Ronald Reagan President in 1980 and 1984. It elected George H.W. Bush President in 1988. It gave Republicans control of the Congress in 1994 (although Bill Clinton had been elected President in 1992). It elected George W. Bush President in 2000 and 2004. It gave control of the House to Republicans in 2010 and the Senate in 2014. And now Republicans hope this appeal will elect a man who has openly called on Vladimir Putin to hack into American computers. WILL TRUMP-PUTIN GO THE WAY OF HITLER-STALIN? As Melania Trump might “write” it: “It was the best of times, it was the worst of times”–for Donald Trump and Hillary Clinton. The Best: For Trump, becoming the anointed Presidential choice of the Republican party marked the climax of a life studded with fame and riches. The Best: For Clinton, being anointed as the Presidential choice of her party marked the highest achievement in a life already filled with them: Former First Lady, U.S. Senator from New York and Secretary of State under President Barack Obama. The Worst: On the eve of what amounted to her coronation ceremony, Wikileaks released nearly 20,000 emails hacked from computers of the Democratic National Committee (DNC). These clearly revealed a bias for Clinton and against her lone challenger, Vermont U.S. Senator Bernie Sanders. One email revealed that Brad Marshall, the chief financial officer of the DNC, suggested that Sanders, who is Jewish, could be portrayed as an atheist. Sanders’ supporters have long charged that the DNC and its chair, Debbie Wasserman-Schultz, were plotting to undercut his campaign. Now thousands of them have descended on the Democratic convention as furious protesters. The convention opened on July 25 in Philadelphia, Pennsylvania, and will last until the 28th. For Clinton, the release of the Wikileaks files could not have come at a worse time. And it’s widely suspected that this is no accident. Cyber-security experts believe the hackers originated from Russia–and that Russian President Vladimir Putin may well have authorized it. Putin has infamously voiced his admiration for Trump: “He is a bright personality, a talented person, no doubt about it. It is not up to us to appraise his positive sides, it is up to the U.S. voters. but, as we can see, he is an absolute leader in the presidential race. But more than one dictator’s admiration for another potential dictator-President may be at work here. Trump has repeatedly attacked United States’ membership in the North Atlantic Treaty Organization (NATO). He believes the United States is paying an unfairly large portion of the monies needed to maintain this alliance–and he wants other members to contribute far more. For Putin, this clearly signals a reason to prefer Trump to Clinton. Trump’s statement marked the first time that a major Presidential candidate placed conditions on the United States’ coming to the defense of its major allies. The withdrawal of the United States from NATO would instantly render that alliance kaput. Its European members that have smugly hurled insults at the United States for decades would suddenly face extinction. Even if their armed forces proved a match for Russia’s–which they would not–their governments would cower before the threat of Russia’s huge nuclear arsenal. If, in fact, Putin lies behind the capture and leaking of highly embarrassing DNC files, he is not the first Communist dictator to find common cause with an avowed Right-winger. In late August, 1939, Soviet dictator Joseph Stalin negotiated a “non-aggression pact” with Nazi Germany’s Fuehrer, Adolf Hitler. The reason: Hitler intended to invade Poland–but feared going to war with the neighboring Soviet Union if he did so. By signing a non-aggression pact with Stalin, he avoided this danger–and gained “rights” to the western half of Poland. In addition, Nazi Germany began receiving huge shipments of raw materials from the Soviet Union, as Stalin’s effort to placate Hitler and avoid a Nazi-Soviet clash. As for Stalin, he got something, too: The eastern half of Poland, which would be occupied by the Red Army. But the Hitler-Stalin alliance lasted less than two years. Signed on August 23, 1939, it ended without warning on June 22, 1941. With 134 Divisions at full fighting strength and 73 more divisions for deployment behind the front–a total of three million men–the German Wehrmacht invaded the Soviet Union. If Putin did authorize the leak to discredit Clinton and enable Trump to become President, there are two ways he may yet come to regret it. The first is if a vengeance-seeking Hillary Clinton becomes President–and inherits the resources to impose sanctions on Russia. And the second is if Donald Trump becomes President–and decides, like Hitler, that he doesn’t owe his onetime benefactor anything. The emails were exchanged from January 2015 through May 2016. These clearly reveal a bias for Hillary Clinton and against her lone challenger, Vermont U.S. Senator Bernie Sanders. Sanders’ supporters have long charged that the DNC and its chair, Debbie Wasserman-Schultz, were plotting to undercut his campaign. Now thousands of them are expected to descend on the Democratic convention as furious protesters. The leak could not have come at a worse time for Hillary Clinton, the former First Lady, U.S. Senator from New York and Secretary of State under President Barack Obama. About to receive the Democratic nomination for President, she finds herself charged with undermining the electoral process. Wasserman-Schultz has proven the first casualty of the leak, resigning from her position as chair of the DNC and saying she would not open the Democratic convention as previously scheduled. As for Clinton: Her campaign manager, Bobby Mook, blamed the Russians for the leak. Their alleged motive: To help Republican Presidential nominee Donald Trump. Cyber-security experts believe the hackers originated from Russia–and that Russian President Vladimir Putin may have authorized it. His alleged motive: Trump has repeatedly attacked United States’ membership in the North Atlantic Treaty Organization (NATO). He believes the United States is paying an unfairly large portion of the monies needed to maintain this alliance–and he wants other members to contribute far more. Otherwise, if he is elected President, they would be on their own if attacked by Russia. Which brings up the obvious question: Why was such sensitive information entrusted to computers that could be hacked? This is not the first time a major corporation or government agency has fallen prey to hackers. Name-brand companies, trusted by millions, have been hit with massive data breaches that compromised their customers’ and/or employees’ most sensitive financial and personal information. On July 15, 2015, its more than 37 million members learned that highly embarrassing secrets they had entrusted to Ashley Madison had been compromised. This included their sexual fantasies, matching credit card transactions, real names and addresses, and employee documents and emails. And the same is true for computers of one of the two major political parties of the United States. Among the secrets unearthed in the WikiLeaks document-dump: Plans by Democratic party officials to reward large donors and prominent fundraisers with lucrative appointments to federal boards and commissions. Most of the donors listed gave to Clinton’s campaign. None gave to Sanders. Centuries before the invention of computers–and the machinery needed to hack into them–Niccolo Machiavelli offered cautionary advice to those thinking of entering into a conspiracy. He did so in his masterwork on politics, The Discourses. Unlike his better-known work, The Prince, which deals with how to secure power, The Discourses lays out rules for preserving liberty within a republic. “I have heard many wise men say that you may talk freely with any one man about everything, for unless you have committed yourself in writing, the ‘Yes’ of one man is worth as much as the ‘No’ of another. In 1804, Napoleon Bonaparte, then First Consul of France, ordered the execution of the popular Louis Antoine de Bourbon, Duke of Enghien, claiming that he had aided Britain and plotted against France. The aristocracy of Europe, still recalling the slaughters of the French Revolution, was shocked. This may prove to be history’s verdict on the storing of so many incriminating computer files by the DNC. Donald Trump has attached nicknames to his many political opponents. “Crooked Hillary” – Hillary Clinton, former First Lady, U.S. Senator from New York and Secretary of State, now the all-but-confirmed Democratic nominee for President. Nicknames and ridicule can be powerful weapons. David Brooks, a conservative columnist for the New York Times, assessed Trump’s ability to effectively use both. “Trump, for all his moral flaws, is a marketing genius. And you look at what he does. He just picks a word and he attaches it to a person. Little Marco [Rubio], Lyin’ Ted [Cruz], Crooked Hillary [Clinton]. “And that’s a word. And that’s how marketing works. It’s a simple, blunt message, but it gets under. It sticks, and it diminishes. So far, only one opponent has managed to verbally stand up to Trump: Massachusetts U.S. Senator Elizabeth Warren. Yet that need not remain the situation. The Democratic convention could use ridicule to strike a deadly blow against the Presidential ambitions of Donald Trump. Everyone expects this convention—like all political conventions—to be filled with boring, self-serving speeches. And its purpose—to nominate Hillary Clinton for President—is a foregone conclusion. But the message of this convention–the necessity for defeating Trump–need not be forgotten. And it won’t be–if convention planners are willing to do something truly daring and memorable. The press has had a field day with Melania Trump’s plagiarizing of Michelle Obama’s speech before the 2008 Democratic convention. So it’s easy to imagine how a staged musical number like “Springtime for Trumpland”–complete with Nazi uniforms–would rage through the Internet. Not to mention make a great TV commercial. To restore its former glory. Who could that man be? The man for you and me. Trumpland is happy and gay. Look out, here comes the Whiter race. Winter for Reason and Light. Come on, Trumpsters, let’s go pick a fight. Soon we’ll have all the world’s black oil. Prisons are filling once more. Means that soon things will be swell. You know we’ll be going to HELL. The question remains: Is a political party noted for its cowardly Political Correctness willing to take the plunge? Most likely, the answer is: No. If Hillary Clinton succeeds Barack Obama as President, can gain much by learning from his mistakes. In 2011, Obama could have ended Republican extortion by invoking the law–that of the Racketeer Influenced Corrupt Organizations (RICO) Act and/or the USA Patriot Act. Or he could have faced down Republican extortionists by urging his fellow Americans to rally to him in a moment of supreme national danger. President Obama could have sent that same message to the extortionists of the Republican Party. Yet this was another option he failed to exploit. And he and the Nation have continued to pay the price for it. In September, 2013, Republicans once again threatened to shut down the Federal Government unless the President agreed to defund the Affordable Care Act (ACA), better known as “Obamacare. They were enraged that millions of uninsured Americans might receive medical care on a par with that given members of the House and Senate. So on September 20, the House voted on a short-term government funding bill that included a provision to defund Obamacare. Obama and Senate Democrats rejected that provision. If the House and Senate couldn’t reach a compromise, many functions of the federal government would be shut down indefinitely on October 1. According to Republicans: They wanted to save the country from bankruptcy–although the Congressional Budget Office stated that the ACA would lower future deficits and Medicare spending. After passing the House and Senate, the ACA had been signed into law by President Obama on March 23, 2010. On June 28, 2012, the United States Supreme Court–whose Chief Justice, John Roberts, is a Republican–had upheld the constitutionality of the ACA. But their efforts had failed; the Democratic-led Senate made it clear it would never go along with such legislation. Finally, unable to legally overturn the Act or to legislatively repeal it, House Republicans fell back on something much simpler: Threats and fear. Threats–of voting to shut down salaries paid to most Federal employees. Most, because they themselves would continue to draw hefty salaries while denying them to FBI agents, air traffic controllers and members of the military, among others. And fear–that would be generated throughout the Federal government, the United States and America’s international allies. Republicans claimed it was Obama and Senate Democrats who refused to see reason and negotiate. But then a Republican accidentally gave away the real reason for the shutdown. In short, Republicans–as admitted by Martlin Stutzman–were out to get “respect.” A member of the Crips or Bloods couldn’t have said it better. The shutdown began on October 1, 2013–and ended 16 days later with even Republicans admitting it had been a failure. President Obama, a former attorney, denounced House Republicans as guilty of “extortion” and “blackmail.” If he truly believed them to be so guilty, he could have once again invoked RICO and/or the USA Patriot Act. Facing lengthy prison terms, those indicted Republicans would have been forced to lawyer-up. That in itself would have been no small thing, since good criminal attorneys cost big bucks. Obsessed with their own personal survival, they would have found little time for engaging in the same thuggish behavior that got them indicted. In fact, doing so would have only made their conviction more likely. True, some prosecuted Republicans might have beaten the rap. But first they would have been forced to spend huge amounts of time and money on their defense. And with 75% of Americans voicing disgust with Congress, most of those prosecuted might well have been convicted. It would have been a long time before Republicans again dared to engage in such behavior. 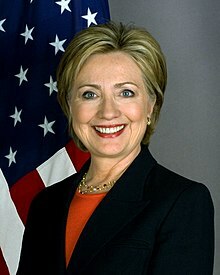 If Hillary Clinton becomes the nation’s first woman President, that will certainly be as big a historical milestone as Barack Obama’s becoming the first black man to hold that office. But simply being elected President will not guarantee her success–any more than it guarantees success to any President. Every President faces challenges that his (up to now) predecessor didn’t. But others can be reasonably anticipated. For Clinton, a totally predictable challenge will be the sheer hatred and ruthless opposition Republicans aimed at Obama. And unless she determines, early on, to confront and overcome it, she will find her agenda just as blocked and undermined as Obama so often did. On July 9, 2011, Republican extortionists threatened the Nation with financial ruin and international disgrace unless their budgetary demands were met. They refused to raise the debt ceiling unless Democrats agreed to massively cut social programs for the elderly, poor and disabled. If Congress failed to raise the borrowing limit of the federal government by August 2, the date when the U.S. reached the limit of its borrowing abilities, it would begin defaulting on its loans. As Warren Buffett, CEO of Berkshire Hathaway, explained the looming economic catastrophe: “If you don’t send out Social Security checks, I would hate to think about the credit meeting at S&P and Moody’s the next morning. And while Republicans demanded that the disadvantaged tighten their belts, they rejected raising taxes on their foremost constituency–the wealthiest 1%. Raising taxes on the wealthy, they insisted, would be a “jobs-killer.” It would “discourage” corporate CEOs from creating tens of thousands of jobs they “want” to create. The “Grand Bargain” choice–favored by Obama–would cut deficits by about $4 trillion, including spending cuts and new tax revenues. Counter Republican extortion attempts via RICO–the Racketeer Influenced Corrupt Organizations Act. Make a Cuban Missile Crisis-style address to the American people, seeking to rally them against a criminal threat to the financial security of the Nation. But Obama could have countered that danger via the Racketeer Influenced Corrupt Organizations (RICO) Act. In 1970, Congress passed RICO, Title 18, United States Code, Sections 1961-1968. Its goal: Destroy the Mafia. And if President Obama had believed that RICO was insufficient to deal with this crisis, he could have relied on the USA Patriot Act of 2001, passed in the wake of 9/11. The remedies for punishing such criminal behavior were legally in place. President Obama needed only to direct the Justice Department to apply them. Prosecuting members of Congress would not have violated the separation-of-powers principle. Congressmen had been investigated, indicted and convicted for various criminal offenses. Such prosecutions–and especially convictions–would have served notice on current and future members of Congress that the lives and fortunes of American citizens may not be held hostage as part of a negotiated settlement. Michael Richard “Mike” Pence served as a Republican member of the House of Representatives from 2001 to 2013. He also served as Chairman of the House Republican Conference from 2009 to 2012. In 2012, he ran for Governor of Indiana, won the election, and assumed this office in 2013. On July 15, 2016, Republican Presidential candidate Donald Trump announced on Twitter that he had selected Pence as his Vice Presidential running mate in the 2016 Presidential election. Voted, in 2007, to defund Planned Parenthood because it provides abortions. Opposed, in 2009, giving American citizenship to children born to illegal aliens living within the United States. Compared the U.S. Supreme Court’s upholding the Constitutionality of the Affordable Care Act to the September 11, 2001 terrorist attacks. Voted to eliminate funding for climate education programs and to prohibit the Environmental Protection Agency from regulating greenhouse gas emissions. Unsuccessfully pushed for a 10% income-tax rate cut. Signed legislation in 2015 that repealed an 80-year-old Indiana law requiring construction companies working on publicly funded projects to pay a prevailing wage. Successfully lobbied in 2013 to limit reductions in sentences for marijuana offenses. Agreed, in 2015, to expand Medicaid in Indiana, in accordance with the Affordable Care Act. But for all of Pence’s actions as Congressman and Governor, the one which may prove the most far-reaching may be this: His signing into law the Religious Freedom Restoration Act. As Governor of Indiana, he did this on March 26, 2015. The law allows any individual or corporation to cite its religious beliefs as a defense when sued by a private party. Officially, its intent is to prevent the government from forcing business owners to act in ways contrary to strongly held religious beliefs. Unofficially, its purpose is to appease the hatred of gays and lesbians by the religious Right, a key constituency of the Republican party. In short, a bakery that doesn’t want to make a cake to be used at a gay wedding or a restaurant that doesn’t want to serve lesbian patrons will have the legal right to refuse to do so. The same applies for a hospital that doesn’t want to provide care to a gay or lesbian patient. The bill was passed overwhelmingly by both chambers of the Republican-controlled state legislature. “Today I signed the Religious Freedom Restoration Act, because I support the freedom of religion for every Hoosier of every faith,” Pence said in a statement on the day he signed the bill. Bill-signing ceremonies are usually highly public events. Governors–and presidents–normally want their constituents to see them creating new legislation. Yet for all his praise for the bill, Pence signed it in a ceremony closed to the public and the press. The media were asked to leave even the waiting area of the governor’s office. It’s almost as if Pence sensed that he was about to push open a door into a danger-filled room. And this may well be the case. Through that door may soon march the First Church of Cannabis. The day after Pence signed the Act, church founder Bill Levin announced on his Facebook page that he had filed paperwork with the office of the Indiana Secretary of State. Its registration had been approved–and Levin was ecstatic: “Now we begin to accomplish our goals of Love, Understanding, and Good Health. No doubt many Indiana legislators are furious that their effort to attack gays may have brought legal marijuana to their highly conservative state. But worse may be to come. Since 9/11, Right-wingers such as Rush Limbaugh and Sean Hannity have warned that Muslims are trying to impose Sharia (Islamic law) on America. And now Indiana’s legislators, in elevating religion above the law, may have laid the legal foundations for making that possible. Muslims in Indiana claim their right–guaranteed in Islamic religious law–to have as many as four wives? And when they claim that the Religious Freedom Restoration Act protects those rights? Hang onto your hijabs–it’s going to be a bumpy ride. On April 22, 1974, a break finally came in the “Zebra killers” case. Anthony Cornelius Harris, a member of the Nation of Islam–otherwise known as the Black Muslims–came forward as a police witness. Before doing so, he visited the parents of his close friend, Larry Craig Green–who was one of the “Zebra” killers. He hoped that, through Green’s mother, he could persuade his comrade to go with him to the police as a witness against the other three Death Angels. While at the home of Green’s parents, he called Green. Later, Harris phoned the Black Self-Help moving and storage company where he had been working for the last six months. It was then that Harris realized that he, his wife, Debra, and their newborn son had been marked for death by his former friends. There was nowhere else to go but the police if he wanted to stay alive. So, on April 22, 1974, he came forward as a police witness. Many police believed Harris had been one of the killers himself. He bore a strong resemblance to the suspect in a police artist’s sketch: A young black man with a short Afro and pointed chin. But Harris insisted that he hadn’t murdered anyone, and that he had resisted efforts by his friends to enlist him in their murder spree. He claimed to fear for his life at the hands of his fellow Muslims. The police immediately placed Harris and his family under round-the-clock guard. At 5 a.m. on the morning of May 1, 1974, more than 100 police officers assembled at the San Francisco Hall of Justice. They were heavily armed–with shotguns, submachineguns and automatic rifles. Their assignment: Arrest seven men believed responsible for the brutal series of murders known as the “Zebra” case. At a given signal, police charged into the various homes and apartments where the suspects lay sleeping. None of the wanted men offered any resistance. Three of the seven were soon release for lack of evidence. The remaining three–Larry Craig Green, Manuel Moore and J.C. Simon–were held at high bond. A fourth suspect, Jessie Lee Cooks, was already serving a life sentence in prison for his admitted murder of Frances Rose, a physical therapist, on October 30, 1973. Cooks would be charged with other “Zebra” murders by a San Francisco grand jury on May 16, 1974. Chief Assistant District Attorney W.H. Guibbini asked for high bail for three of the suspects after their indictment. Presiding Superior Court Judge Clayton V. Horn raised it to $300,000 each. The accused killers remained in jail before and during their trial. The trial began on March 3, 1975, and lasted longer than any previous one in the history of California–376 days. Testimony from 181 witnesses–115 for the prosecution–filled 13,331 pages of trial transcript. The Nation of Islam paid for the legal representation of every one of the defendants except Cooks, who had admitted to murdering Frances Rose. During his testimony as a prosecution witness, Harris was guarded constantly by San Francisco police. 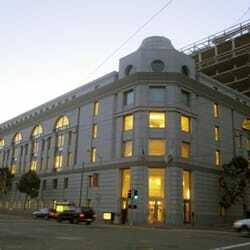 When the SFPD’s resources began to be strained, Harris was placed on the Witness Security Program, operated by the U.S. Marshals Service for the Justice Department. Originally created to safeguard Mafia witnesses, it offers protection, relocation and new identities to those who testify against organized crime groups. Harris was flown to Houston, Texas, and kept under the watchful eye of the local police. From there he moved to El Paso, and then on to Las Vegas. He proved a difficult witness to protect. Refusing to take a job suitable for his menial work skills, he demanded ever-increasing amounts of subsistence money from, first, the SFPD, and, later, the U.S. Marshals Service. At times he threatened to recant his testimony unless he got more subsistence payments. After the trial, Harris received a portion of the $30,000 reward. Eventually he turned up in Oakland, and then ultimately disappeared. On March 13, 1976, Larry Craig Green, Manuel Moore, Jessie Lee Cooks and J.C. Simon were convicted of multiple murders. All were sentenced to life in state prison, where they remain today. At the time of sentencing, San Francisco Superior Court Judge Joseph Karesh turned to a wall map showing where each of the murders had taken place.